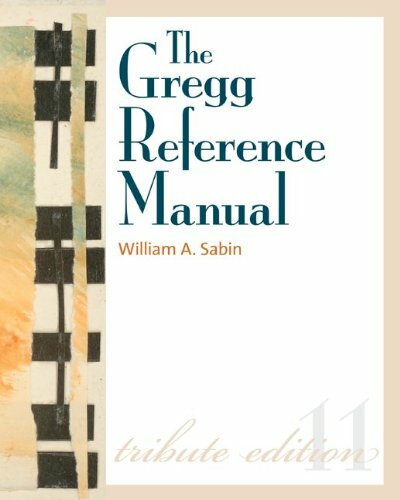 My collection of grammar books has been growing steadily since becoming a full-time freelancer, and I'd like to share some of my favorites with you! Posted on October 8, 2016 by Alyssa W. Christensen and filed under Articles, Book Recommendations, Featured Articles. Since 1991, I have been incorporated as Paragraph Writing Services. Here, I do it all, from writing and editing to bookkeeping and petting the cat (a very important responsibility, as she can tell you with her little “pet me” nips). But I didn’t start out as a writer. I started college as a vocal music major. I knew things weren’t going to turn out well when I couldn’t master the piano, and my voice teacher told me my nose was too small to properly sing in French. So, my then-boyfriend got me a work-study job at the campus-affiliated PBS station, where I discovered I loved to write promotional copy. But did I immediately switch majors to accommodate my new passion? No! The promotion director got fired, and I landed the position—at the age of 19. Older and wiser, I returned to Grand Valley State University, this time as a communications major. I took copywriting classes, public relations writing classes, business writing classes, and advertising classes, while working part-time at Opera Grand Rapids as promotion director. As my capstone project, I had a wonderful opportunity: To produce a marketing video to raise funds for the opera. I wrote the script, was the voice talent, and worked with a professional video production company. Two things happened: Fundraising went through the roof, and I was promoted to full-time upon graduation. At the opera, the board president who checked my press releases was also the editor of the local paper, and I received marketing advice guidance from another board member who was the head of marketing for a local furniture manufacturer. Both of these people were great mentors, and I am friends with them to this day. From the performing arts, I went to banking. I wrote for the holding company and the lead bank where I learned a lot about investments, finance, estate planning, 401(k) s, and just about anything else related to managing money. There, I wrote everything from statement stuffers to annual reports. (Yet I still can't manually balance my checkbook.) It was about this time that I decided to do a little freelance work on the side, and opened Paragraph. From banking, I went to a multi-level marketing company. I won’t mention the name, but you’ve heard about it, I’m sure. There, I contributed to one monthly publication, three quarterly publications, and a website in need of constant updating. That equals approximately 60 unique ad concepts with clever headlines, multiple articles and mucho web content per month. Topics? Home care, water treatment, health and nutrition, and beauty, cosmetics and skin care. I came out of there as one versatile writer. But then, I was “globalized. (Laid off.) So I decided to try the freelance life full-time, and here I am today. One thing I learned during my hiatus from college was the importance of a portfolio, even as a student. Therefore, I volunteered to write wherever I got a chance. I wrote a newsletter for the local ballet company. I continued to write as a volunteer for the PBS station’s annual televised auction. I collected letters of recommendation from my supervisors. Because I was an older student, I made friends with many of my instructors, and would go out for coffee with them and have them critique my work and give me advice. I have a confession: I wish I had taken more English classes. I wish I had paid closer attention to sentence structure and grammar. You need to know that I began my career before word processing. Before the Internet. Before spell check. Before desktop publishing. I made mistakes along the way and learned the rules on the job. (I worship the ground that proofreaders walk on.) And those rules are important, because you need to know them in order to break them, as we often do in advertising headlines and copy. Pamela has won several awards for her work, including Public Relations Society of America Gold Spectrum Award and Best of Show Award, Apex Award, International Council of Shopping Centers MAXI Award, and numerous ADDY Awards. Check out her fantastic business website, paragraphwriting.com, and connect with her on LinkedIn. Posted on May 19, 2014 by Alyssa W. Christensen and filed under Book Recommendations, Communications, Copywriting, Freelance, Self-Employed, Writing and tagged Freelancing. College & Majors/Minors: University of Puget Sound, B.A. in Philosophy, minor in English (2001). San Jose State University, Master of Library and Information Science (2012). I currently work as a Library Associate IV at The Seattle Public Library. In this role, I provide reference and instruction services to the public and serve on the Library Innovation Team. While writing and editing are not the central part of my job, my skills in this area are put to use in various ways, from writing email to writing blog posts for the library's blog. I am also part of a team getting ready to launch a new internal blog about innovation. I anticipate that writing and editing will be an important part of my work on that team going forward. Outside of work, I have blogged for Public Libraries Online (the blog of the Public Library Association), been a contributing writer for the local community website Bellevue.com, written for the newsletter of local literary organization Richard Hugo House, and co-written a book chapter on library innovation for a forthcoming book. I also write poetry and prose in my free time and intend to eventually publish some type of literary work. As an undergraduate at the University of Puget Sound, I worked as a Peer Writing Advisor in the Center for Writing and Learning. In that role, I provided one-on-one writing conferences for my peers and assisted them throughout all stages of the writing process, from formulating a thesis statement to planning a 15-page research paper. I also served on the editorial team of the campus literary arts journal, Crosscurrents, where I reviewed and selected poetry and prose submissions for publication; worked as a Records Assistant in the Office of the Registrar and as a Teaching Assistant in the Department of Philosophy; spent a summer working as the Storeroom Assistant in Facilities Services; and hosted a couple of weekly radio shows on the campus radio station. Working in these various positions helped me to develop experience and skills in various areas, from writing and editing to interpersonal communication, customer service, and public speaking. As I entered the job market, I was able to use these experiences to develop my resume and demonstrate my qualifications. As an undergraduate, I did not have a clear sense of what I would do in the future. I did not have a long-term career plan. I had learned a lot about poetry and philosophy, but what did that have to do with earning a living? I knew that I would most likely pursue a graduate degree but I was not sure of what discipline to pursue, so I decided to spend some time working, traveling, learning independently, and focusing on my own personal development. My first job after college graduation was in the community library in my hometown of Battle Ground, Washington. While I had never considered librarianship as a career, through that job I discovered that I loved library work. After a few years of working in libraries, I decided to pursue a Master of Library and Information Science degree so that I could become a professional librarian. I found my first post-college job the old-fashioned way: in the classified ads in the newspaper. This was in 2001, before online job sites became the norm. When I saw an ad for library assistants at the local community library, my curiosity was piqued and I decided to apply. I was invited to take a qualification test, which involved a typing assessment and a card filing exercise. After passing the test, I was interviewed by a hiring panel consisting of the Community Librarian, Circulation Supervisor, and Library Assistant III at the branch I would be working at. They asked me questions about my knowledge of literary genres and my experience serving customers, handling difficult situations, and explaining policies. I was also asked to put a cart of books in order according to the Dewey Decimal Classification system. I received a job offer for a full-time position a few days later. I worked at the Battle Ground Community Library from 2001-2003, and since then, I have had a number of different jobs and gone through a lot of interviews. I earned my MLIS in 2012, and since then, I have focused my job search on professional librarian positions. The interviews for these have varied a bit depending on the particular position being filled, but the key competencies and responsibilities for professional librarians today include public service (including reference, readers' advisory, and instruction), outreach, programming, resource development, promoting intellectual freedom, leadership support, staff training and development, technology literacy, and communication and interpersonal skills. Some librarian positions include duties such as blogging, social media marketing, website development, and creating publicity pieces such as brochures and press releases. Build a wide professional network. LinkedIn is a great tool for building your network; attending professional conferences is another great way to do so. Seek out mentors, and become a mentor yourself as you grow in your life and career. Continue learning and investing in your personal and professional development. Study the careers of others who have achieved goals that you want to achieve. If others have done it, then it is possible for you to do it. Set goals regularly and implement plans to achieve them. The book Goals! 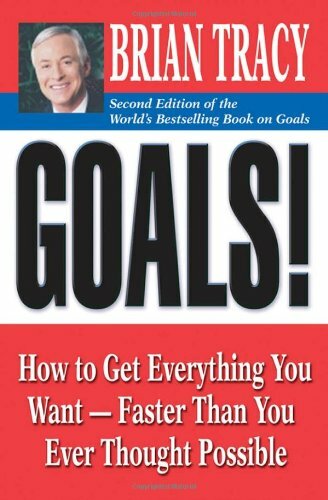 by Brian Tracy provides excellent advice on goal-setting and achievement. Visit Sarah on twitter @Sarah_H_Scott, tumblr and connect with her on LinkedIn. Posted on February 24, 2014 by Alyssa W. Christensen and filed under Library Science, Writing, Teaching, Book Recommendations and tagged Library Science. College & Majors/Minors: Carleton College in Northfield, Minnesota. English degree. I am a business owner (a marketing and design company I own with my wife) and a self-published writer with six books published (three mystery novels, two non-profit guidebooks, and one sci-fi novel). My professional background has mostly been in non-profits, especially in communications and marketing. Every job I've had needed extensive writing skills. I wrote the tourism brochure for our county in marketing for one job, and edited a high school alumni magazine for another. I had one business internship, but my most helpful preparation for a professional career was temping in a big corporate office during the summer. I made pretty good money and I learned very quickly how a corporate environment works. I haven't worked in the corporate world since, but the professional experience was important. I also worked during college at the Career Center, which gave me a good idea of the diversity of jobs available. There really is a lot you can do! I have volunteered my way into most jobs. I have a lot of experience in the non-profit sector, and in two cases, volunteered with an organization before getting hired. As to writing, I've never taken a writing test, but having a portfolio of work has been great. Keep magazines, letters, or any other piece of writing you're proud of in a folder. It will be helpful later. First, you can get practically any job with practically any major. The key is talking about skills versus degree or title. Second, EVERY business needs writers. If not writers, then communicators. I promise your skills are in high demand. Work for a nonprofit in marketing or development (fundraising) for awhile and you'll amass a good portfolio of writing. You can either move up the chain in nonprofits or find your experience will be valued in a better paying corporate gig as well. 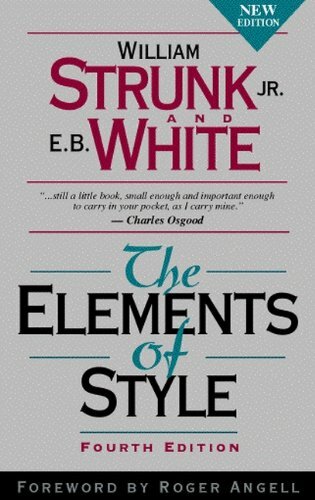 Strunk & White's book on writing, The Elements of Style, was a great help to me post-college. Writing an academic paper and writing a fundraising pitch are not the same things! Visit Erik at erikhanberg.com, follow him on twitter and check out his books on Amazon! Posted on February 2, 2014 by Alyssa W. Christensen and filed under Self-Employed, Book Recommendations, Marketing, Publishing, Writing, Interviews and tagged Publishing.